Blyth Tait is one of New Zealand’s greatest sportsmen. He competed at four Olympics and won four medals, one of only four New Zealanders to do so. 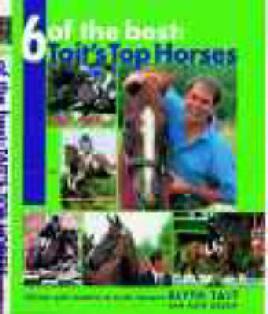 In the 1990s Tait was ranked the number one eventer in the world. Throughout his career he has successfully ridden a large number of horses including Rata, Messiah, Ricochet, Ready Teddy, Tempo, Delta, Welton, Envoy, and Burghley. Ready Teddy was probably Tait’s greatest horse. Born 10 May 1961 in Whangarei. Educated at Whangarei Boys’ High School. Interested in horses from an early age (his father bred racehorses). Took up showjumping at first, then three-day eventing. Went to Australia in 1988 with a New Zealand team to compete in the Bicentennial Three-Day Event, winning the teams event, and coming second in the individual event. In 1990 came second at Badminton Horse Trials, and won team and individual gold at the world equestrian games in Stockholm. In 1992 at the Barcelona Olympics won bronze in the individual (to Mark Todd’s gold) and silver in the teams event on his horse Messiah. Awarded MBE (Member of the Order of the British Empire) in 1993 for services to equestrian sport. In 1996 at the Atlanta Olympics won gold on a new horse Ready Teddy, and team bronze on Chesterfield. In 1998 won the world championship gold in Rome. In 2000 came second at Badminton. In 2001 won the Burghley three-day event in England, riding Ready Teddy, and was awarded the Lonsdale Cup by the New Zealand Olympic Committee for his win. In 2004 at the Athens Olympics Tait completed his competitive Olympics career with a fifth in the team event. He was named eventing manager for the 2008 Beijing Olympics. In 2011 he returned to competitve eventing, with the intention of qualifying for the 2012 Olympic team. Six of the best: Tait’s top horses Blyth Tait. Our list of equestrian websites on the Internet Gateway. A gateway to everything equestrian in New Zealand. Information from New Zealand equestrian organisation.